Bringing You The Latest Cooler Reviews, Tests, & Cooler Giveaways! ﻿Win A Patriot 20Qt, Our Longest Lasting Small Cooler (20-30qt) To Date. 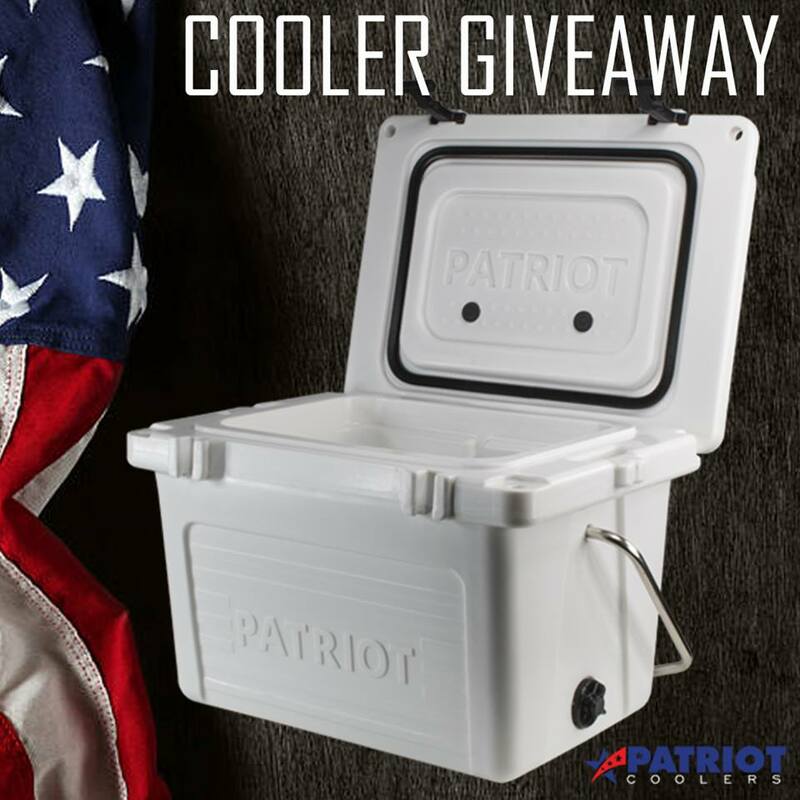 We will be giving away a Patriot 20 Quart Cooler. This is the longest lasting small (20-30qt) cooler that we have tested to date. Patriot claims 5 days ice retention which we proved to be more than true. Winner will be announced on our YouTube Channel, be sure to subscribe on next page. If Winner does not respond within 5 days of announcement we will pick a new winner so be sure to subscribe & click the little notification bell on the next page! In our last giveaway we had to pick SEVERAL new winners because we did not hear from the original winner. Don't be "that guy or gal"
PLEASE: Tune into to live drawing so we don't have to search for our winner like we have in the past. Enter your name (First & Last) and a VALID email address below to enter to win. It's really that simple. A Huge thanks to Patriot for helping us make this possible.